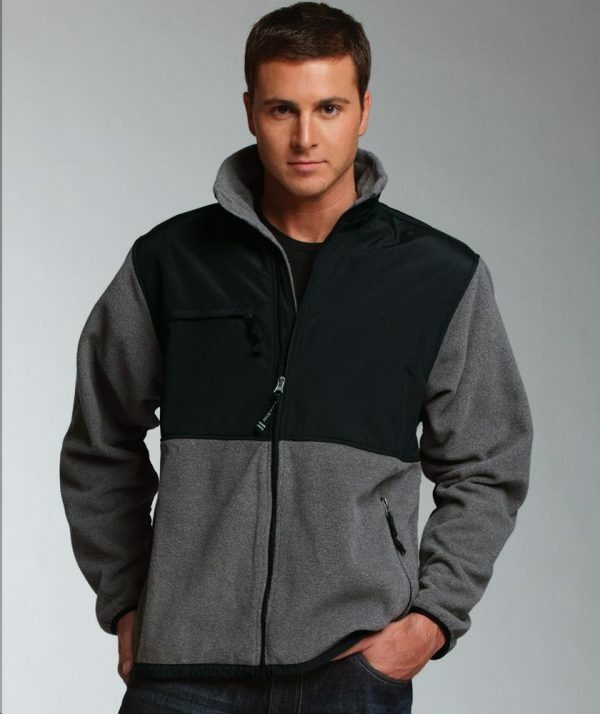 SKU: CR-9931 Categories: Fleece Jackets, Men's Outerwear, Black Brands: Charles River Apparel. Anti-pill fleece 8.85 oz/yd2 (equiv to 14.75 oz/lyd, 300 gsm) is made from a very fine yarn, giving a softer feel. Wind & water-resistant Taslan Nylon accents on chest, back, sleeves & wind flap for a sharp look. Full zip design with black coil zippers for a smooth pull. Wind flap provides extra protection against the elements. Knit binding at cuffs for added comfort. Covered zippered side pockets and chest pocket. Open hem with shockcord drawstring. ESA System (Embroidery Stow-Away) for decorating access.